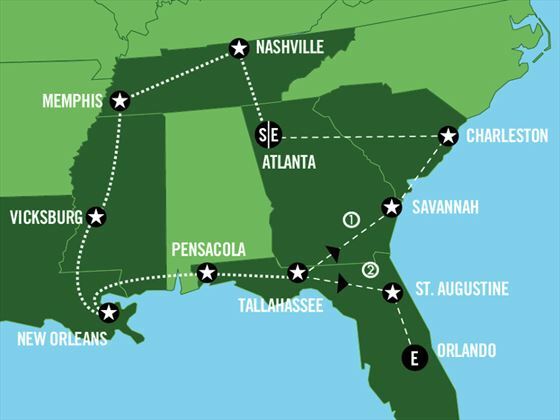 A fabulous two-week road trip of America’s Deep South, giving you the opportunity to sample the delicious cuisine, enjoy live music in the infamous trio of music cities of Nashville, Memphis and New Orleans, explore historic mansions & battle fields, and swim in the turquoise waters off the Gulf Coast. We can also book an alternative end to this road trip, which on Day 11 takes you south instead of north. Day 11 drive to St Augustine, the oldest city in the US with Spanish colonial architecture and sandy beaches. Day 12 continue to Orlando for fun in the theme parks, world class shopping and dining. Day 13 fly home from Orlando. Please ask for prices and details. 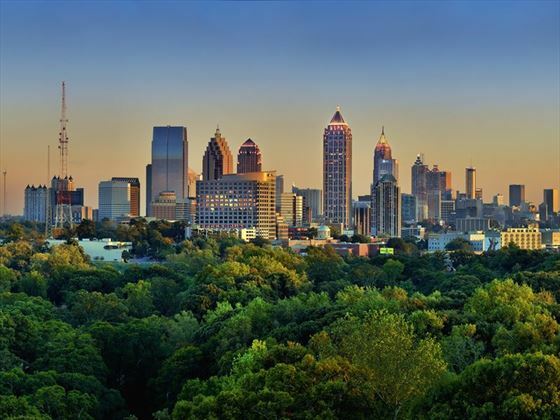 A leisurely start to your holiday with a day in Atlanta, the capital of Georgia and hub of the southern states. This city played a central part in both the Civil War of the 1860’s and the Civil Rights Movement of the 1960’s. The Atlanta History Center and the Martin Luther King Junior National Historic Site are well worth a visit. You could also visit the Centennial Olympic Park built for the 1996 Olympics. Today you will drive north to the Country Music Capital of the World – Nashville. A great place to stop en route for lunch is Chattanooga set in the foothills of the Appalachian Mountains where you will find quirky attractions. You could also stop a little further along in Lynchburg to tour the Jack Daniel’s whiskey distillery. 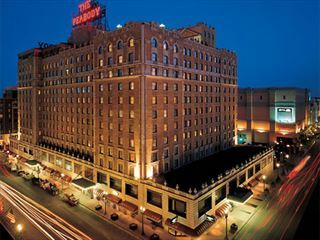 Then continue onto Nashville, where you should check into your hotel and then head straight out to Broadway to soak up the atmosphere. Explore the musical attractions of Nashville such as the Country Music Hall of Fame and the Johnny Cash Museum. Then drive west to then next iconic music city of Memphis. 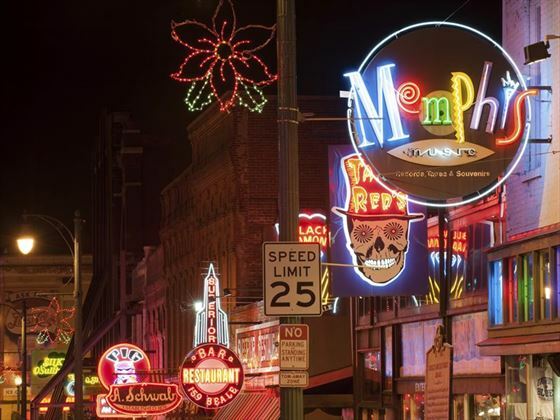 Make sure you arrive in enough time to enjoy dinner with some live music on Beale Street – BB Kings comes highly recommended, but you’ll have two nights here in Memphis so pace yourself! A full day in the birthplace of Rock n Roll. 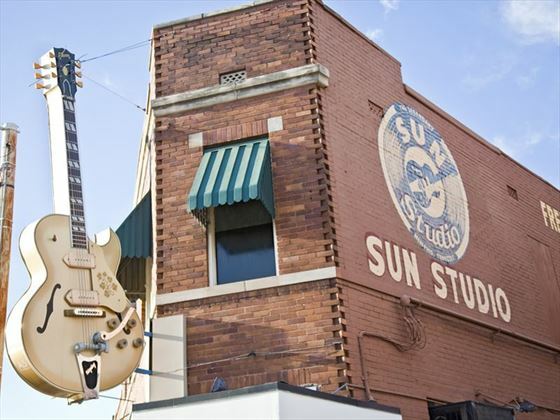 Presley’s Graceland would be our number one choice but there’s also the legendary Sun Studio, Rock n Soul Museum, Stax Museum of American Soul Music and the Blues Hall of Fame! Today you’ll travel south to historic Vicksburg. There is a 16-mile road tour taking you around over 1,300 monuments, markers and plaques commemorating the Civil War. A fascinating place to visit. A day to enjoy the charming city of New Orleans. 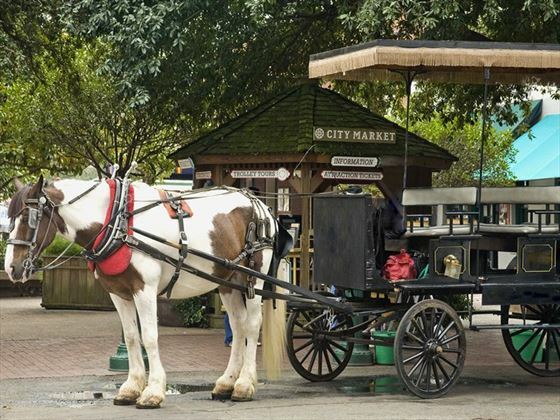 Perhaps take a horse-drawn carriage tour or Voodoo and Cemetery Walking Tour. 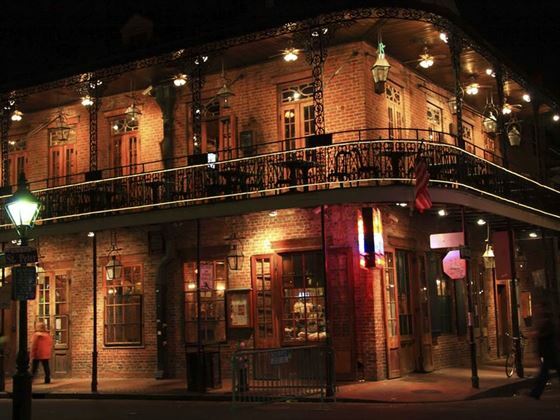 You can simply soak up the atmosphere of Jackson Square and enjoy eating in one of the many cafes and restaurants. Seafood is a speciality and one of our favourite snacks is a shrimp po’boy – a fried baguette filled with prawns. Head out of the city and towards the beautiful beaches of the Gulf of Mexico. Tonight you’ll be staying in the lovely seaside resort of Pensacola located on the Florida pan-handle, so you’ll probably want to set off early so that you can have a lazy afternoon on the beach. Continue along the Gulf Coast through the unspoilt wildlife preserves and fishing villages. Enjoy the afternoon and evening in Tallahassee, a city combining historic antebellum architecture with modern innovation. 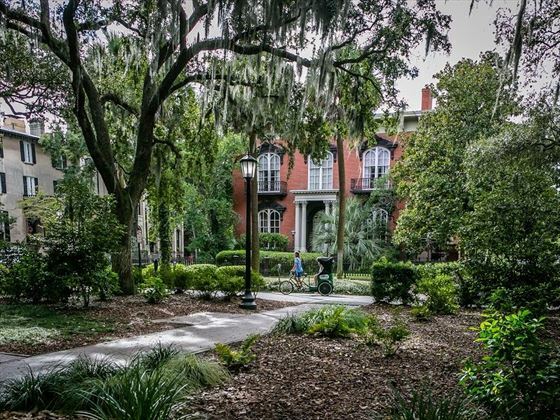 Drive north east to the charming historic town of Savannah, where you will find some of the South’s most beautifully restored houses from the Civil War era. Enjoy a picnic lunch in one of the lovely green parks and squares that are dotted through the town. After a relaxed start drive for a couple of hours up the coast to Charleston. Spend the rest of the day exploring this lovely city, which represents all that is grand and elegant about the South. 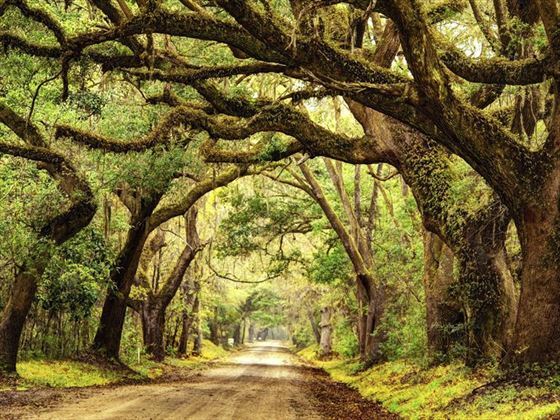 Stroll the gorgeous tree-lined avenues of antebellum houses and perhaps take a cruise along the river. The final leg of your road trip, heading due west back to Atlanta. 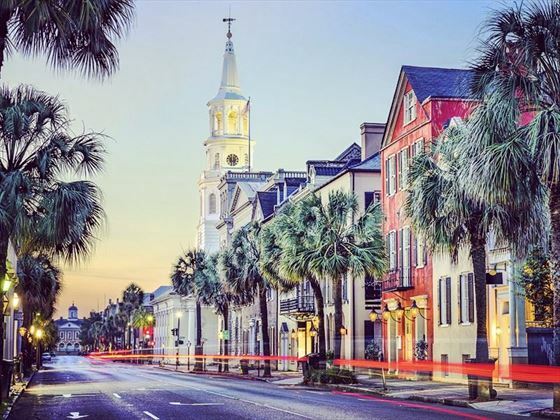 You could perhaps stop for lunch in Augusta, stroll the Riverwalk along the Savannah River and visit the Augusta Museum of History including a section dedicated to soul singer James Brown. Today you’ll fly home from Atlanta after dropping your car off at the airport. But there will still be time to do a little more shopping or have that final tasty southern meal. Daily flights avaiable from Heathrow with United Airlines. Regional connecting flights are available.